Evans Street east of 5th Avenue will be closed through Friday, Feb. 26, while crews continue to work on connecting waterlines. Additionally, homes on Evans Street between 4th and 5th Avenue will be temporarily disconnected from water service, on Friday, Feb. 26, beginning around 8 a.m. The crews will work diligently for the shortest possible shut-off. Thank you for your continued patience throughout this project. 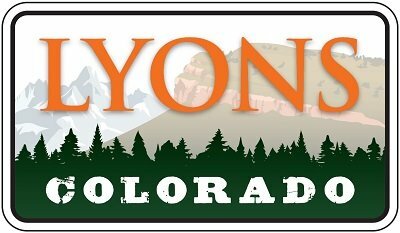 On Thursday, February 25, Oskar Blues will hold a meet & greet forum with Senator Heath and Representative Singer, followed by a Lyons Mayor and Trustee candidates Q&A. 5 to 6 p.m.: Live music and light appetizers (sponsored by local businesses). Due to unsafe conditions, the skatepark remains closed to the public. The Parks and Recreation department is in the process of acquiring bids for the repairs, which include replacing the entire subfloor and all the material on the halfpipe. Town Staff anticipate the park to be reopened by the beginning of April. An Active Adult Birthday Celebration will be held at the Walt Self Building on February 26, 2016 at 1pm-3pm. We will be celebrating active adults 50+ birthdays for the months of January and February. We welcome all Active Adults 50+ to enjoy coffee and cake, along with free chair massages, entertainment and a dynamic speaker. Please stop in and celebrate your neighbors' birthday!